In order for our Team to process your request quickly and efficiently and produce your logo reproduction on promotional products you will be required to provide your Artwork in either of the below formats. It is important to provide your Artwork in these formats to ensure the quality of print reproduction. Pantone PMS colours are provided. Note: If you are uncertain about the above please contact your graphic designer or printer before sending. For files that are over 4mb in size please don’t send via email. Note: Please speak with your IT department for further information on how to install the following or check if there is a program your company already uses. Once your artwork is complete, we will email you a positional showing the size and placement of your logo on the chosen promotional product. Once approved we can proceed with production. It is important to note that once the Artwork Approval has been signed, no further changes will be made and costs will be incurred by you to reprint a product. Breezemarketing provides an artwork service at a competitive rate to re-illustrate artwork to a usable file format, with the end cost depending upon the standard of original artwork supplied and the complexity of the job. Email us at info@breezemarketing.com.au for further information on this service we provide. AI files are vector files used by designers and commercial printers to generate files of different file formats and sizes. AI files can only be opened using Adobe Illustrator and may be created in layers. An AI file is one of the most preferred formats by printers, promotional product companies, silk screeners, banner and sign companies, and other third party creatives. EPS files are most commonly used by designers to transfer an image or artwork, generally a vector file into another application. Vector-based EPS files are scalable to any size. EPS files can be opened using Adobe Illustrator, Freehand, or Adobe Photoshop. A vector EPS file is one of the most preferred formats by printers, promotional product companies, silk screeners, banner and sign companies, and other third party creatives. A PDF is a universal file format that preserves/embeds the fonts, images,layout and graphics of any source document, regardless of the application used to create it. PDF files can be shared, viewed and printed by anyone with the free Adobe Reader software. Some PDF files can be used for commercial, digital, and/or desktop printing. The PSD file format, usually a raster format, contains graphics and photos created in Adobe Photoshop image editing software. Most commonly used by designer and printers. 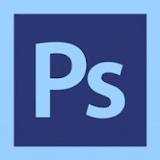 PSD files can only be opened using Photoshop and may be created in layers. .JPG - Joint Photographic Experts Group - common format for all pictures. A JPG file is a compressed image file that does not support a transparent background. The level of compression in JPG files can vary in resolution with high quality for web viewing and low quality for email. when compressed repeatedly the overall quality of a JPG image is reduced. The TIF/TIFF file format is most commonly used for storing images,photography, or art. TIF files are most commonly used in professional environments and commercial printing. The TIF format is commonly the most widely supported format across all platforms.It is the standard format for high quality images. The PNG file format is most commonly used for use online and on websites due to their low resolution. PNG files are bitmap images that employ lossless data compression, and like GIF files, PNG files can be created with a transparent background.